You can't always judge a show's quality by the length of its run. Firefly is a perfect example. Lasting just 14 episodes, it has since carved out a massive and passionate following. Thanks to the growth of TV on DVD and now streaming on places like Netflix, the show (and the movie that spun out of it) lives on in a big way. 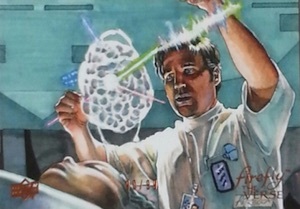 2015 Upper Deck Firefly: The Verse trading cards take a different kind of spin on the series with a release that uses new art to flesh out the show's world. The base set is nearly 180 cards, which is the biggest to date for the franchise. Previously, Inkworks released sets for both the show and the movie, Serenity. Characters like Captain Mal, Wash, Jayne, Kaylee and Zoe get the spotlight alongside more base cards that delve into the ships and different types of weapons. Base set parallels include Foil, Canvas and Autographs. Collectors can also find Printing Plates. 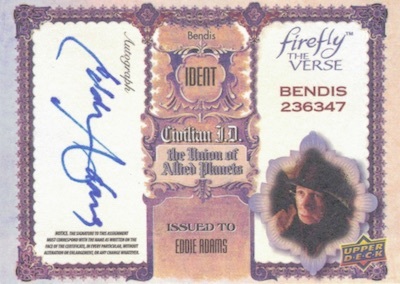 2015 Upper Deck Firefly: The Verse also has a handful of premium inserts. Sketch cards come with original art done directly on the card. 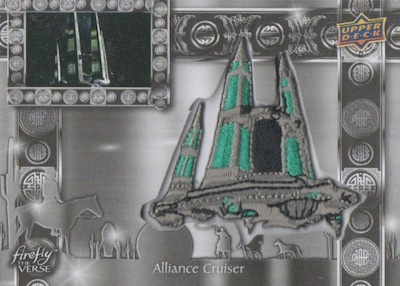 Replica Patch Cards have manufactured pieces of embroidery designed to look like patched found on wardrobe from the show. The product has plenty of autographs. While the big draw will be cards signed by the actors, artists who worked on the set also have signatures in the set. 2015 Upper Deck Firefly The Verse BU Richard Burgi Womack Actor Autograph Card! 2015 Upper Deck Firefly The Verse F-26 Zoe's Gun Patch Replica Card MINT! Upper Deck Firefly The Verse KG Kevin Gage Stitch Hessian Actor Autograph Card! 2015 Upper Deck Firefly The Verse F-27 Kaylee's Fluffy Dress Patch Replica Card! 2015 Upper Deck Firefly The Verse RB Richard Brooks Early Actor Autograph Card! Full artist list shown below. Thanks for the work you put in on this site! 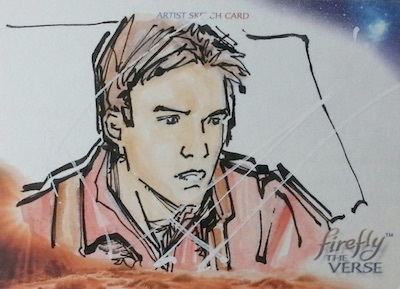 I wanted to see more about the “2015 Firefly, The Verse” card set and my friend told me to check out your site. Very Well Done!